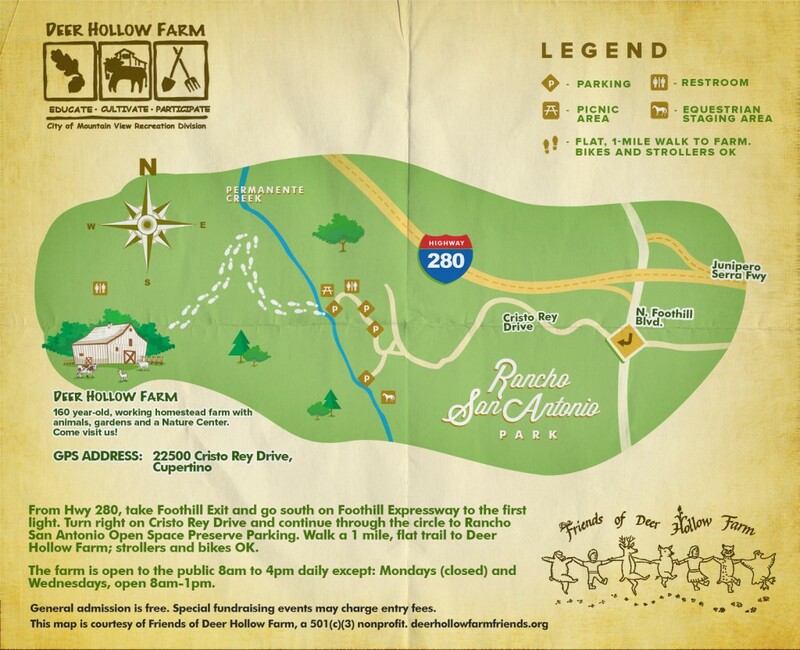 Deer Hollow Farm is open to the public. 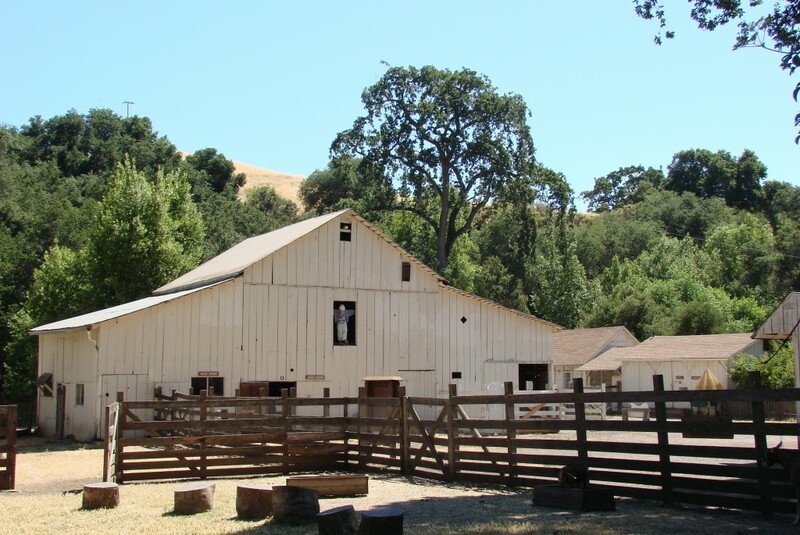 Deer Hollow Farm is located in the beautiful Rancho San Antonio Open Space Preserve. From the parking lot, it is an easy, flat and paved 1-mile trail through the park to the Farm. Strollers and bicycles are very welcome! Click for a printable map! Picnic! There are picnic tables in the Hay Barn. There are also benches on the trail to the Farm. 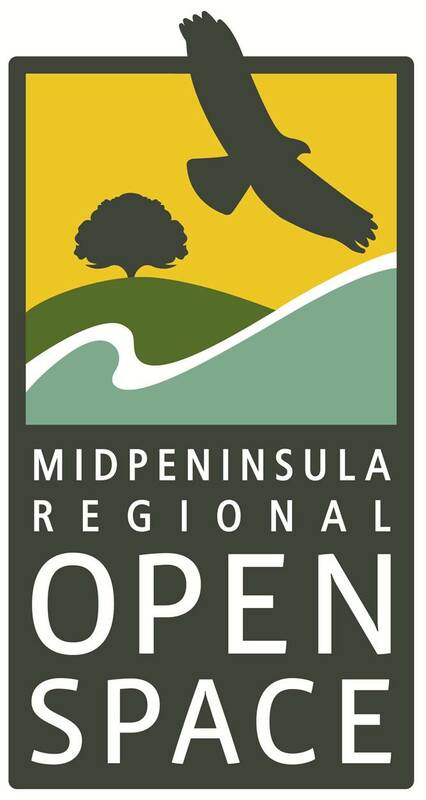 Learn about the local wildlife and plants. 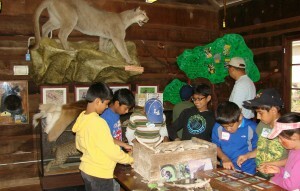 See exhibits of a stuffed mountain lion, bobcat, birds of prey. Your kids will love the “Touch Table” with its bones, feathers, nests, and more. Deer Hollow Farm was settled by the Grant Brothers in 1853. 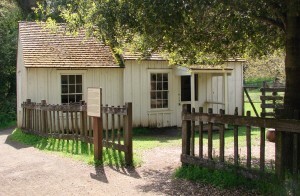 The original caretakers’ home has been preserved. Look in the windows: a butter churner, iron stove, spinning wheel, and chamber pot are all on display as a representation of daily life in the 1800’s. Friends hold special events to raise funds for the Farm’s outstanding educational programs. They are all $7 per person, and 100% of proceeds go the Farm. A special activities event for the little ones is Spooky Times! 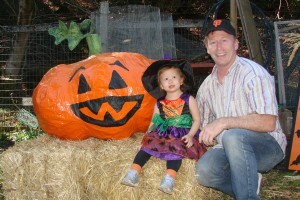 The Farm is decorated with ghosts, scarecrows, and all things Halloween. Step into the farm pens and other areas normally off-limits, and have an up close and personal visit with our furry and feathered friends. 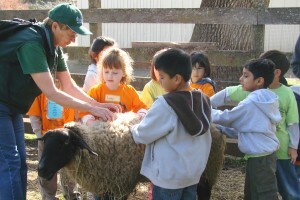 Pet a lamb, feed a goat, watching a milking demonstration!